A collection of royalty free jazz music, Latin American music, acid jazz, jazz fusion, bossa nova, gypsy jazz, ragtime, bebop, jazz blues, swing, cool jazz, Dixieland, etc. Some classical compositions and some improvisations. Songs featuring instruments such as: piano, saxophone, trumpet, electric guitar, double bass, drums..and more. Jazz royalty free music featuring an electric guitar, acoustic piano, electric bass, drums and brass section. Powerful grooves. Royalty free acid jazz music track where traditional swing style meets electronic music. Energic and positive song. Royalty free Jazz music featuring Electric bass, electric guitars, alto saxophone, drums, congas and Wurlitzer electric piano. jazz, improvisation, jazz cool .. Acid Jazz music featuring bass, drums, electric guitars and tenor saxophone. 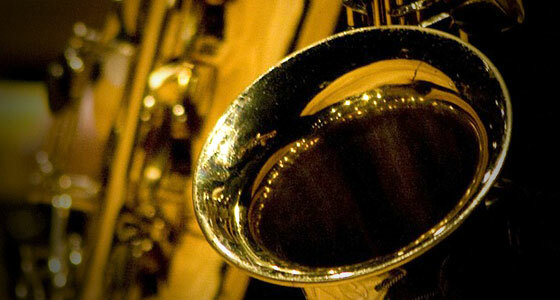 Blues / jazz music with acoustic guitar (steel strings), bass and drums..
Jazz music with piano, bass, trombone, drums and tenor saxophone... jazz, night, softness..
Jazz music featuring soprano clarinet, bass clarinet, accordion, drums and bass ... jazz, gypsy, party, dance, ..
Soft music, jazz ballad with piano, baritone saxophone, drums and bass ... Night, jazz, evening ..
Royalty Free Music, in a Latin jazz style: with brass section, piano, saxophone solo, solo trumpet, drums, percussion and bass... Latino, party, dance,..
Royalty Free jazz Music, in a fast swing style: upright bass, piano, trumpet, trombone, tuba and drums. Circus music, performed with fanfare. Great energy is deployed... Jazz, circus, upright bass, humor, party, comic, swing,..
Music in a blues / swing musical style of the 60s, here we have a bass, piano and drums. jazz Atmosphere, ragtime, swing,..
Royalty Free Music, in a swing style using a standard jazz trio: upright bass, piano and drums. The title can be used as a Tv generic program or for a scene of documentary movie... Jazz, piano, bass, blues, swing, 60's..
70's jazz / swing musical style, using a double bass, piano, drums, some bells and synthetic brass. jazz, swing,..
Improvisation piano piece. Improvisation, jazz, piano,..
Music in the acid jazz style, with a brass section, electric bass, piano and drums. Acid jazz, piano..
A short piano solo improvisation in the jazz style. Royalty-free Jazz music with slow tempo. Brass, piano, bass,..
Jazz music with drums, piano and bass. Syncopated rhythm. Modern jazz, acid jazz,..
Jazz ballad with bass, drums and piano improvisation. Ballad, jazz, piano, cool jazz..
Royalty free swing music, with piano, bass and drums. Swing, jazz..
Use the mp3 player to listen to the royalty free jazz music. You may listen to the full version. In order to download the selected title, click on the green 'DOWNLOAD' button and save the file to your computer or tablet. The downloaded file is a full version of the music in high resolution mp3 format. You may therefore try the music in the contest of your project before purchasing your license. In order to purchase your license, click on the 'Buy License' button and you will be asked to provide the necessary information to establish a license agreement. You will then be redirected and asked to choose your method of payment. As soon as your payment has been confirmed, you will receive the copyright notice, the license agreement and the links to the uncompressed WAV version of the selected music.